The customer needs are our priority. We promise to satisfy the customer demands with prompt first class services. Our services include comprehensive consulting and audits on GMP quality management systems for pharmaceutical and medical device producers. More than hundreds of audits on behalf of clients have been performed over the years. 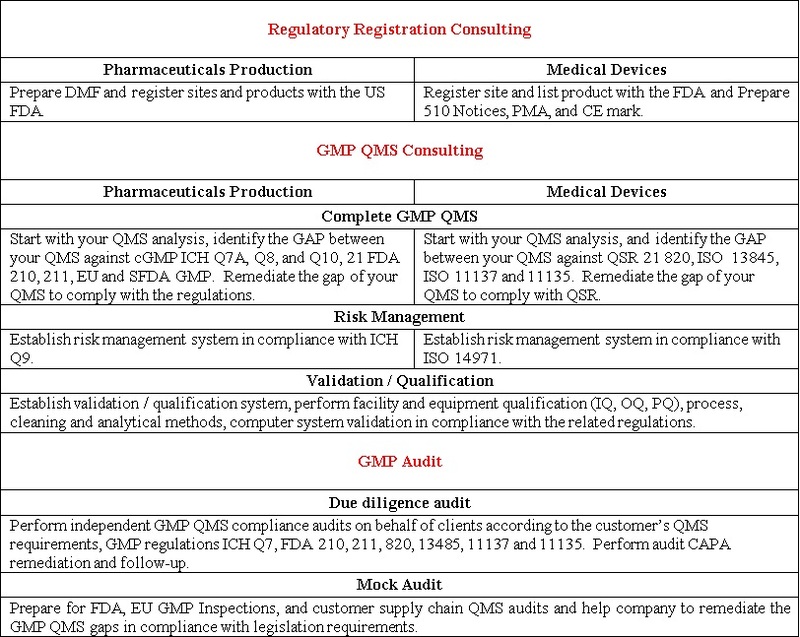 GMP QMS implementations and remediation for FDA inspections have been made available successfully. The following covers the majority of the services we are able to supply.